Will now cry a few tears because The Broke and the Bookish, who sponsored one of my favorite memes--Top Ten Tuesday, is closing its doors on January 16. Luckily, one of its writers will take over Top Ten Tuesday at That Artsy Reader Girl. First, let me say that I applaud all my fellow bloggers out there who work hard to provide fresh and interesting content for their readers. Blogging is a lot of fun, but it's also a ton of work--especially if you are reviewing any type of product or service. It takes commitment. It takes stamina. Sometimes you don't get much sleep. 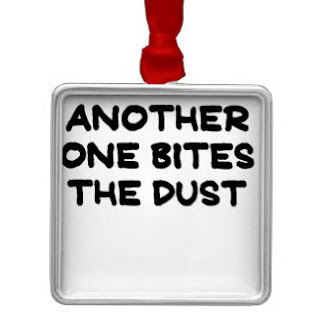 In July of 2018 I'll be celebrating eleven years of blogging here at The Book Connection and nine years at The Children's and Teens' Book Connection. That seems so unreal to me. What was born out of my need to draw attention to my writing and the desire to express my creativity has put me in touch with so many wonderful people within the publishing industry. It even led to the seven plus years I worked at Pump Up Your Book. I am truly blessed. Here's wishing the best to all the bloggers over at The Broke and the Bookish. Maybe we will see you back before too long. Good luck to Jana as she takes over Top Ten Tuesday. Looking forward to all her ideas. To all you bloggers out there---you rock! Sheila from Book Journey is sponsoring First Book of the Year for the fifth year in a row. A. A coveted book that you have wanted to read but have just not found the time. B. A delicious favorite… one you have read before, but crave to read again. C. Really whatever you want it to – it is after all YOUR First Book Of the year. Then, once you have picked what it will be, you email Sheila a picture of you with the book. On January 1st she will post all the pics in a collage format of all of us around the world that are doing First Book. Sign up here if you would like to join us! The warm, wonderful, real-life tale of the family that brings the Christmas spirit to life on a street corner in Manhattan. Every holiday season for nearly twenty years, Billy Romp, his wife, and their three children have spent nearly a month living in a tiny camper and selling Christmas trees on Jane Street in New York City. They arrive from Vermont the day after Thanksgiving and leave just in time to make it home for Christmas morning—and for a few weeks they transform a corner of the Big Apple into a Frank Capra-esque small town alive with heartwarming holiday spirit. Christmas on Jane Street is about the transformative power of love—love of parent and child, of merchant and customer, of stranger and neighbor. The ideal Christmas story, it is about the lasting and profound difference that one person can make to a family and one family can make to a community. 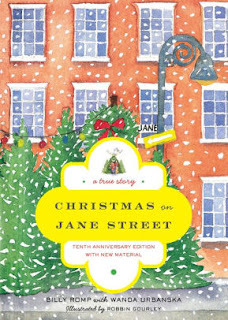 A lovely, lovingly illustrated little gem of a book, this delightful tenth anniversary edition of a beloved Christmas classic tells the poignant, inspiring story of an unforgettable family and the warm, wide circle of friends who have welcomed them to the neighborhood. Music professor Gus LeGarde and his wife Camille are looking forward to a relaxing vacation at Paines Creek Beach on beautiful Cape Cod. 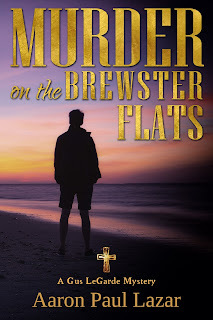 But Gus barely has a chance to feel the sand between his toes before a near-miss car accident drags him right into the middle of a local family feud — and a centuries-old mystery that’s begging to be solved. Before long, mounting tension gives way to true danger as people start vanishing. And in the middle of a fast-brewing hurricane, Gus discovers the real secret at the heart of the feud: someone who will stop at nothing to make sure their side wins. Including murder. 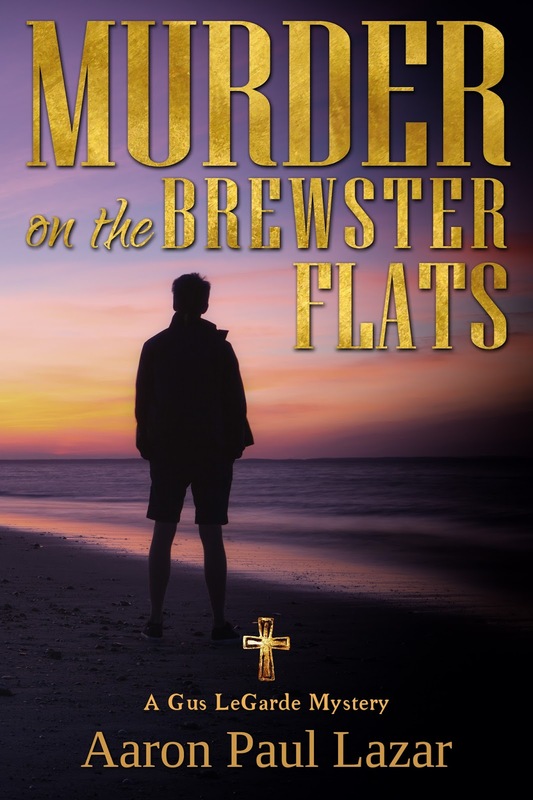 Packed with shocking twists, exciting action, and fascinating tales of family lore and pirate treasure, Murder on the Brewster Flats is the first LeGarde Mysteries crossover novel with award-winning author Aaron Paul Lazar’s popular Paines Creek Beach series. Don’t miss this installment! Aaron Paul Lazar writes to soothe his soul. An award-winning, bestselling Kindle author of three addictive mystery series, romantic suspense series, love stories, and writing books, Aaron enjoys the Genesee Valley countryside in upstate New York, where his characters embrace life, play with their dogs and grandkids, grow sumptuous gardens, and chase bad guys. THIS WEEK'S RANDOM QUESTION: Have you ever wanted to become a character in a book so you could actually experience the world you’re reading about? 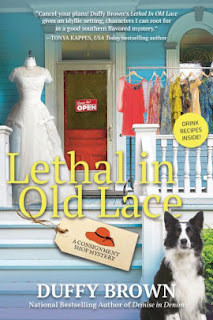 You'll notice I posted my review of Lethal in Old Lace, the sixth book in Duffy Brown's Consignment Shop Mystery series. If you haven't read any of these you really need to. They are fabulous! 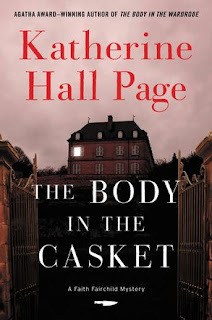 Right now, I am reading The Body in the Casket by Katherine Hall Page. Producer/director of a string of hit musicals, Max Dane—a Broadway legend—is throwing a lavish party to celebrate his seventieth birthday. At the house as they discuss the event, Faith’s client makes a startling confession. "I didn’t hire you for your cooking skills, fine as they may be, but for your sleuthing ability. You see, one of the guests wants to kill me." That's it from my neck of the woods. Hope you have a great week! Wedding planning, a dead body or two, a plethora of suspects, and a whole lot of southern food and charm are to be found in Lethal in Old Lace by Duffy Brown. All Reagan Summerside wants to do is put her history of finding dead bodies behind her and focus on her upcoming wedding to Walker Boone. Alas, dead bodies seem to get in her way. 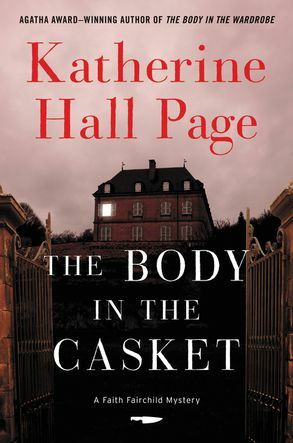 When the body of a resident from Pines Retirement Center is found in the Abbot sisters' pink Caddy and another recently deceased resident of the Pines may have swindled the sisters out of some money, they quickly become primary suspects. It will be up to Reagan, Boone, Auntie Kiki, Bruce Willis and their good friends to uncover the truth. This series keeps getting better and better. Brown really outdid herself with this latest Consignment Shop mystery. Some of these things could only happen to Reagan Summerside! The great thing is that this masterful storyteller keeps it fresh while making the reader feel right at home with so many familiar faces. She develops her characters well and you learn a little bit more about each of them as the series progresses. Reagan's mother is becoming my favorite. I'm still jealous that Brown can keep me guessing all the way to the end. Oh, how I wish I could write a mystery like that. There are so many twists and turns. People are on the suspect list. They are off the list. New people are added to the list. I rarely guess the culprit until it's revealed. Lethal in Old Lace is another perfect and fun cozy mystery by Duffy Brown. I received a digital copy from the author through Netgalley. This review contains my honest opinions, which I have not been compensated for in any way. Christmas Magic is changing and the Kringle Family scrambles to keep up in this fun and entertaining, sweet Christmas romance from Author Lucy McConnell. A normal electrical substation takes two years to build; but, Lux has 365 days to install one at the North Pole or Christmas Magic will overload the factory and send them back to the Dark Ages. The one man on the planet with the know-how, the education, and the time to help Lux finish the substation before her Noel deadline, is also the one man who sends sparks through her heart and surges through the power system. If Lux kisses Matthew Quik—again!—she could blow up Santa’s workshop before she has a chance to save it. If she doesn't kiss him, she may lose him forever. "For getting me in the mood for Christmas, and the romantic aspect of this holiday even before Thanksgiving, I’m happy to give Ms. McConnell the 5 STARS I’ve given her book." "Marrying Miss Kringle: Lux is a funny, tender, magical adventure into the sparkles of Christmas Magic and the sparks of human love." Lux’s cheeks dusted pink. With her red hair and fair skin, she should have flushed bright red, but only this sprinkling of pink appeared, like she’d been dusted with pink powdered sugar. Why did this woman bring to mind sweet things like powdered sugar and chocolate and kisses at sunset? He gave his head a mighty shake. “I know.” At least, he thought he knew. Everything had happened so fast. He’d fallen asleep and woken up when the ice cracked. He plopped his feet to the floor only to have them land in several inches of water. His stove had tipped over and the hot metal had melted clear through the ice. There must have been a crack in the ice nearby. “We?” Quik adjusted the blankets over his arms. He could only imagine Lux and Ginger and Frost tearing his clothes off. Lux made to adjust her glasses, but they weren’t there. She looked around like they’d fallen off and she didn’t know how. So he wasn’t the only one thrown off by all this. Quik’s eyes traveled lower to find her bare shoulders and her skintight tank top. He jerked his eyes back up to her face, hoping she hadn’t caught his wandering eye. The situation was going up in weirdness. Having used up all his ability to care about propriety, Quik leaned back against the seat. He was in the bottom of a fancy velvet-lined sled. Yep. Weird. His eyes dropped shut. “You cut my pants?” he asked. “I’ll get you new ones,” offered Lux. “No!” She was offended. That was kind of cute. “Too bad. I needed a new shirt.” He half smiled. She started out as an editor at an advertising agency before moving on to teach in the marketing department of the local community college. She loved teaching and often misses the academic environment. If she's not at the computer, you can find her trying to keep up with her husband and four kids on the ski slopes, in a boat, in the kitchen, or on a horse.